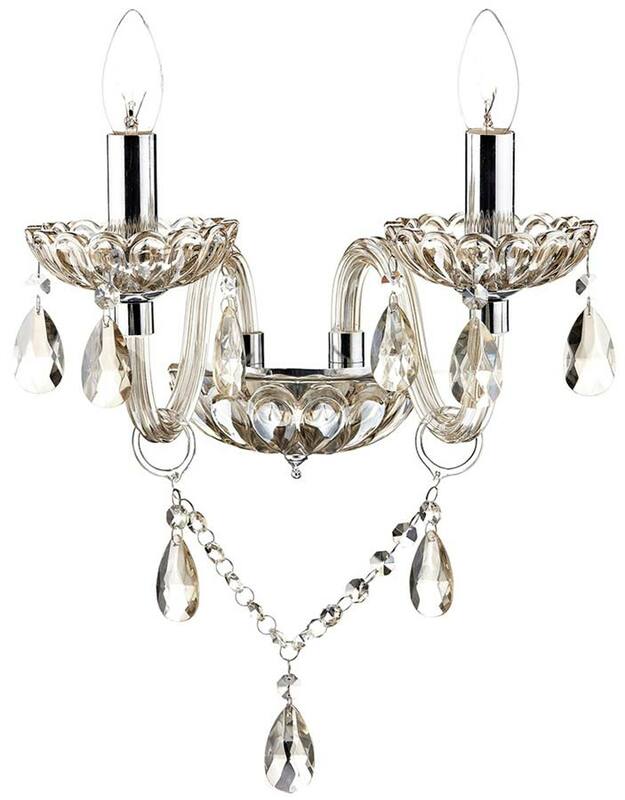 A traditional Marie Therese style dual wall light, with chrome detail and two curved arms that have champagne glass sconce’s and chrome candle tubes. Crystal glass beads and faceted drops complete the elegant styling. Clip on silk shades are available in a large variety of colours, which look fantastic on this elegant light fitting. Please feel free to contact us for further details. 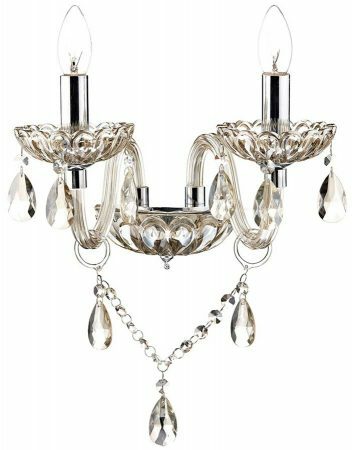 Other products in the Raphael range can be viewed below and include a large twelve light chandelier and two smaller sized chandeliers.